Love is the buzzin' all around us now this Valentine season. 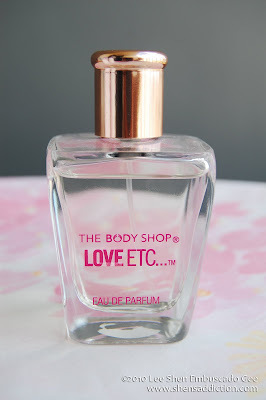 It couldn't be more apt for The Body Shop to release their newest fragrance, Love Etc. Love in a bottle? Well, not really.. like all of us, The Body Shop interpreted what love is in form of the wonderful notes that made this eu de parfum. "Notes of pear, neroli, bergamot - combine to create the fragrant top notes. Notes of vanilla, sandalwood, creamy musk - combine to create the base notes of the fragrance. (tends to linger on the skin longer than the other notes)"
Floral explosion of love, this is how I would describe Love Etc... Eu De Parfum. It has a ripe scent. I could compare it to a few Diors and Chanels that my mom used. It's quite thick to the senses, this kind of perfume usually stays long time on your skin. If you're a fan of anything vanilla, this is a scent for you. Personally, I'm not much into vanilla but the mixture of this perfume made me a convert. It's truly amazing. 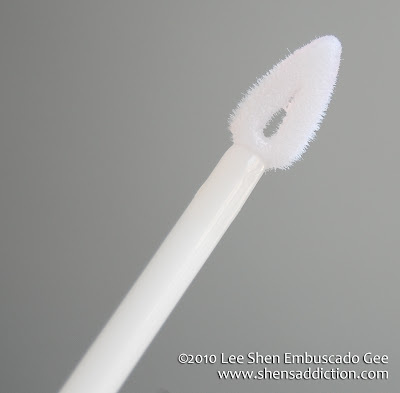 The one I received is the clear gloss with a hint of pinched pink. It has a subtle sparkle but not all-too apparent. 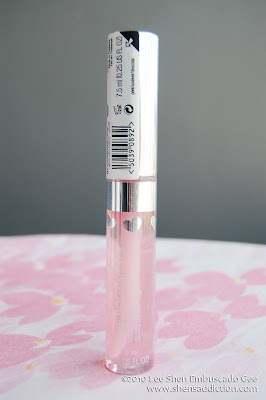 I love the wand and the scent/taste is quite fruity with a hint of rose. It felt like a love potion that when the BF kisses me, he'll be under my spell. Hihihi! 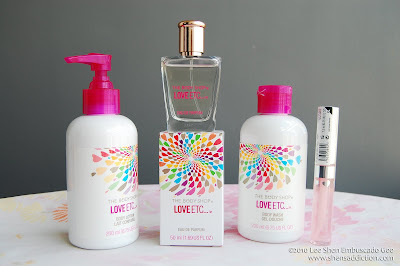 Like with a lot of my perfumes, I prefer to use them along with their body lotion and body wash. I'm realy happy Love etc... came along with it. The sweet scent of this body wash will not only make the perfume linger more to your skin but also make your skin smooth right after bath. Loving this body lotion. Not only does the pump make it easier for me to use it but the scent is divine. Not too strong nor too sweet. This is my second fave among the collection. 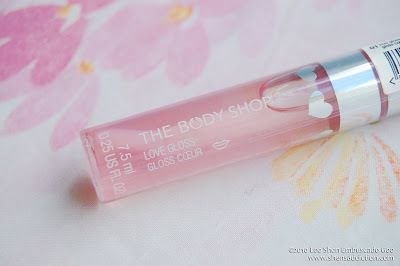 ahh, that looks yummy, mukhang mabango ah..
How much for the Love Gloss? Thanks! for what purposes and what website?